Canada's Adam Zaruba during their third place match of Tokyo Sevens rugby tournament in Tokyo, Sunday, April 5, 2015. 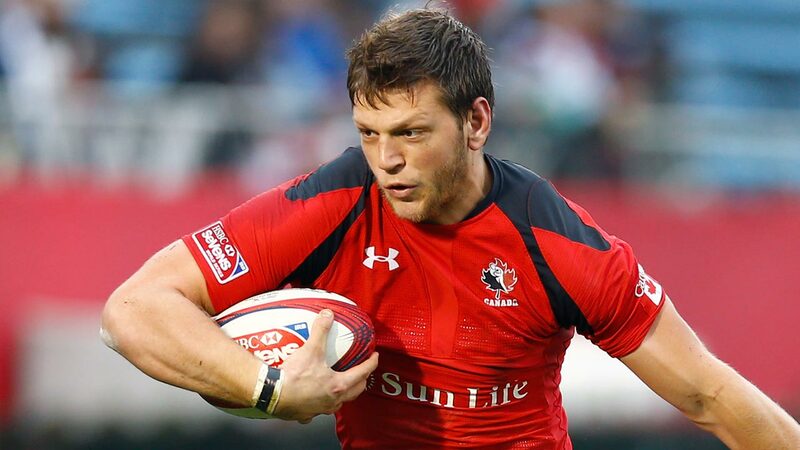 PHILADELPHIA -- The Philadelphia Eagles have signed Canadian rugby star Adam Zaruba to a three-year contract. Zaruba had a tryout on Sunday. He wasn't on the field for the start of training camp Monday and won't be able to return until he's granted a visa. The 26-year-old Zaruba will play tight end. He is 6-foot-5 and 265 pounds. Zaruba played football at Carson Graham Secondary School in Vancouver before turning to rugby, and joined the national team by 2014. Zaruba helped lead the Canada Sevens to a bronze medal at the World Series tournament in London in May.